It got tricked. I walked into the store looking for a transparent oil absorbing powder – but came out with a powder foundation plus concealer powder. What was I thinking ? I was not thinking obviously and I was tricked. I think sometimes the salespeople speak to our inner selves – the salesperson that day was just trying to cover up my acne for me. Verdict: this powder covers up well, you get 14,5 grams of powder per package (usually you get 9). The package is pretty, functional, and has a big mirror. The powder is supposed to hydrate dry parts of the skin, but instead of giving a nice matte touch, my skin turns shiny and oily within a few hours after the use of this powder. The powder piles up on my skin and looks very unnatural. Really covers up well and still manages to look natural. This is a thick highly pigmented foundation for body and face. Having suffered from acne which has left its scars, I found this foundation a true life-saver. Buying a nice top, which showed my cleavage and then breaking out on the day of the party where I planned on wearing it, but being able to still wear it since the foundation works so well – was a great confidence booster. The foundation is fairly natural looking, though being very thick and can be used on both body and face. The price is reasonable and it covers up everything, from pimples, to eczema and varicose veins. It is very long lasting, and only smudges when you sweat. Overall I truly love this foundation, since it really helped me out when I wanted to cover some of my teenage past up. Since this is a critical blog, I will of course list its minuses: it is slightly drying, exists in few shades, and due to its thickness it can be patchy. Also, if you are very fair skinned, even the “lightest” of the shades available can look orange on you. So please dear Vichy, make more shades so that more girls can dare wearing clothes without feeling self-conscious about skin irregularities ! I really believe that we should all embrace out inner beauty but having been through some acne hell of my own, I really appreciate that there is make-up out there which can help one to feel more confident. November 8, 2014 November 14, 2014 | Anna M.
I love that this Murad cleanser doesn’t dry out my skin or sting in my eyes when I remove mascara using it. Also, you only have to use a little amount of cleanser each time, meaning that the relatively large tube lasts long. Murad is pretty expensive (especially in Denmark – In the US it’s “only” $32! – which is around half-price). I don’t know how much my skin’s age is “reformed”, but I really like that this cleanser is not over-drying my skin like some other cleansers and makeup removers do. Also, as mentioned above, it doesn’t sting in my eyes when rubbing it in them to remove mascara. I tried others that made my eyes water, red and/or that stung a lot – perhaps they weren’t meant to be used for eyes or my eyes were too sensible. Either way, I don’t want to go through self-torture every time I have to remove mascara. Further, I am not one for having a facial cleanser and an eye makeup remover. I want to be able to use one thing for removing makeup, so this is a good fit for me. To touch upon the “duration” of this product, it really lasts! As in, “when will this tube be empty!?”. I have used the Murad cleanser almost every single night for at least a month, and I barely see that it is used. I absolutely love products that lasts. I’ve experienced too many (expensive) products that are empty within no time (*cough* YoungBlood *cough*). So even though it’s an expensive cleanser, it’s not that bad in the long run. Makes your skin feel smooth and facilitates the application of your foundation. My skin felt a bit greasy being covered in the layers of cream, primer, foundation and make-up. This primer promises to fill in fine lines and pores, and to make it easier to apply your foundation. Is it true? Well I didn’t see any difference in the appearance of my pores or lines, but I could definitely see that my foundation was coming on easier and stayed intact for longer. If you find it hard to apply foundation evenly this primer can be a big help. 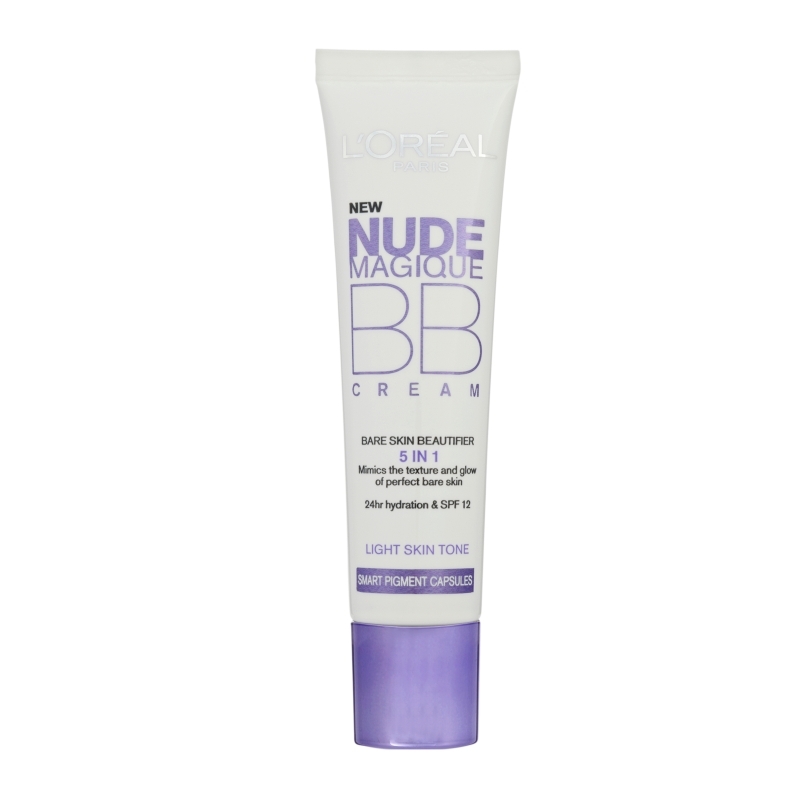 It has a nice silky feel and makes your skin feel very smooth but not oily. Why don’t I use it anymore? Because my skin felt too greasy from all these layers of cream, primer and foundation, my skin started breaking out and I stopped using foundations. Why am i writing about it here? Because so many women out there are addicted to their foundations and this product makes your foundation look better and more natural on your skin. October 19, 2014 February 28, 2015 | Anna M.
I think the BB Cream looks natural on my skin and it doesn’t look like I’m wearing a “foundation mask” like other foundations do. The BB Cream doesn’t really cover my imperfections. The dark circles under my eyes are still visible, though a bit “evened out” and you can still spot the red pimple on my forehead. Further, I feel that I need to use a lot of cream in order to make it look even. Also, it claims to “mimic the texture and glow of perfect bare skin”. The foundation is light-weight, it gives you an even skin tone and minimises small pimples, dark spots or imperfections. It does not, however, cover these it only evens them a bit out or minimises them. Therefore: If you have red pimples, dark spots under your eyes or anything else you would like to cover up, you should use a concealer with this or another product. It’s kind of like putting an “Instagram filter” on your face – but without doing any Photoshop retouching: It makes you look better, but nothing is “retouched” away. When it comes to the promises of making your skin “flawless”, “perfectly even” and “glowing freshly” they promise way too much. This is a light foundation – not magic fairy dust.